In March, I visited the universities in the cities of Uppsala, Lund, and Stockholm to talk and learn about climate change and conservation research. My host was Kjell Bolmgren, one of the organizers of the Swedish Phenology Network, and who organized a one-day workshop of Swedish phenology researchers during my visit. 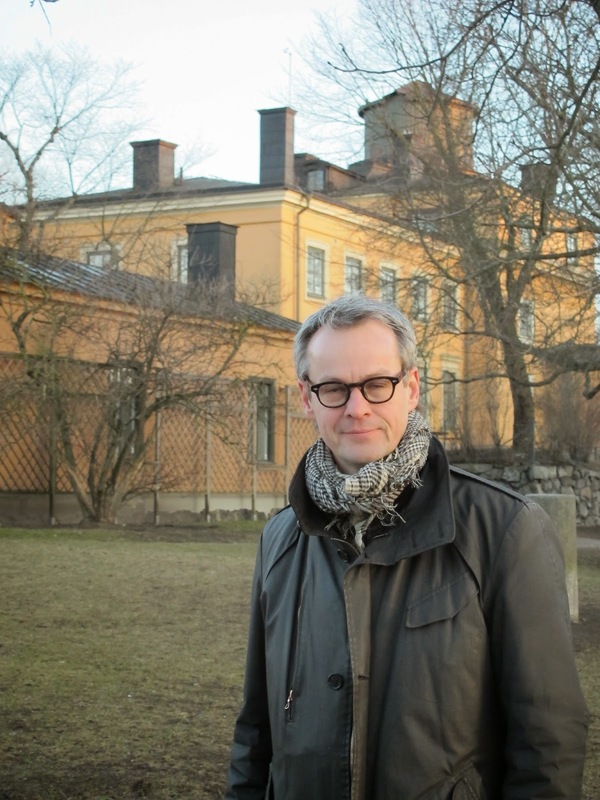 Here is Kjell in front of the original Swedish meteorological laboratory in Stockholm. My first visit was to the University of Uppsala founded in 1477, accompanied by my colleagues Bo Soderstrom and Lena Gustafsson. The university museum has many outstanding objects associated with its scientists. Of special interest are manuscripts and equipment belonging to Carl Linnaeus, the enormously important 18th century botanist who developed the system for naming and classifying the world’s plant and animal species that we still use today. 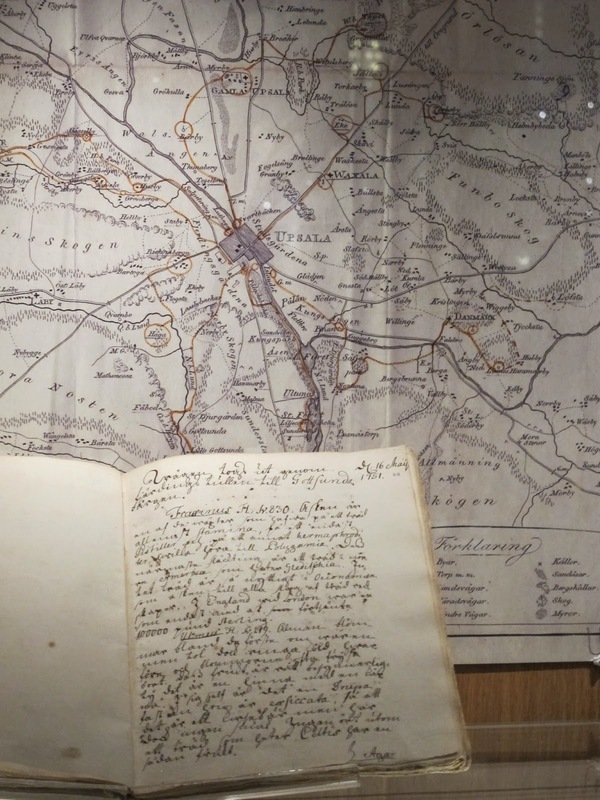 A notebook belonging to Linnaeus describing what plants he and his students saw during a walk around the outskirts of Uppsala. These notebooks may prove useful in conservation and climate change research. Later we visited the summer house of Linnaeus just outside of Uppsala. The farm buildings are painted in the bright red color that is common in the Swedish countryside. At the end of the visit, I was able to spend some time sight-seeing around the old parts of Stockholm. Near the palace are narrow streets with colorful scenery and a wealth of small shops. Along the harbor are numerous grand buildings. 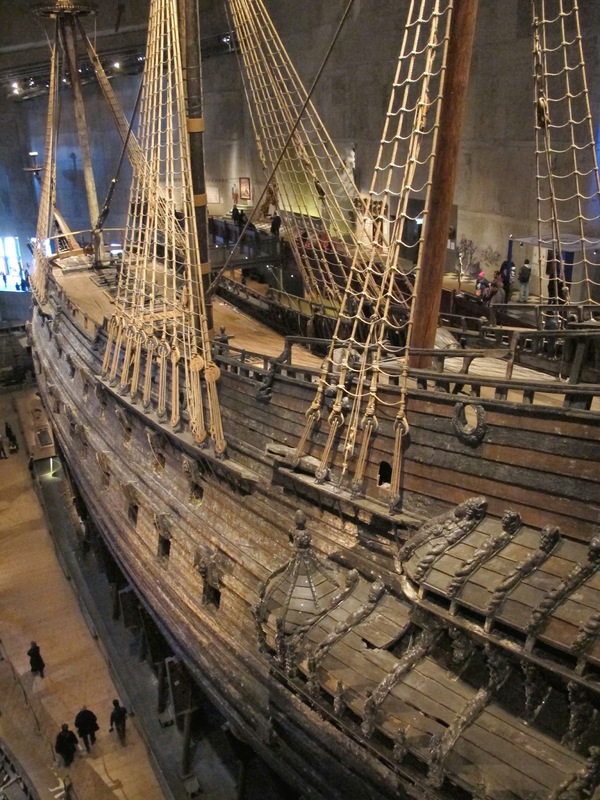 The Vasa Museum displays an enormous wooden warship, "Vasa" that sank in the Stockholm harbor during its trial voyage in 1628. Here is replica of the ship with the real Vasa in the background. Thoreau would have remarked on the wastefulness of spending a fortune on ship built only for war that sank before it could carry out its function. Now the Vasa has taken on new value as one of the main tourist attractions of Stockholm. Finally, here is a memorial on the spot where the Prime Minister Olof Palme was assassinated in 1986, an event as powerful for Sweden as the death of Kennedy is for Americans. Palme was a controversial figure, pursuing a policy of alignment with emerging nations and revolutionary movements and opposition to super-power politics and colonial governments. 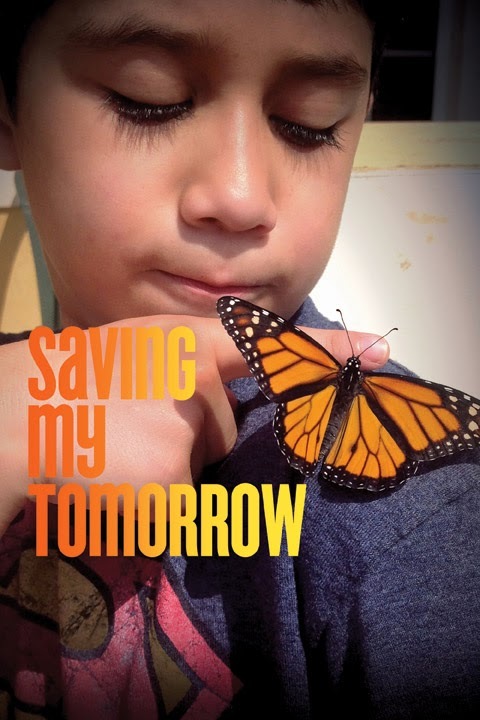 A new HBO series called Saving My Tomorrow features kids telling their stories about the need to protect the environment. Children are shown leading protest, at rallies, speaking from the heart, and singing powerful songs, all in defense of the environment. The need to address the dangers of climate change is a central theme. 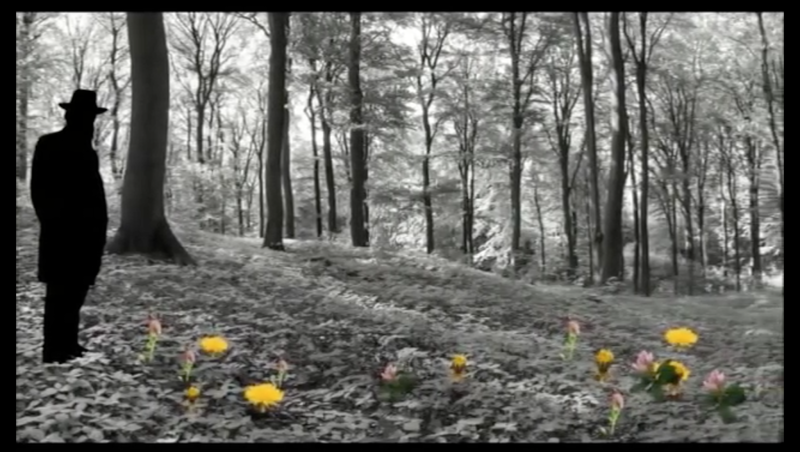 One of the featured examples is how the observations on flowering times made by Henry David Thoreau can be used to demonstrate the effects of climate change. Of course, this is based on the research carried out by our group. The program likens the observations of Thoreau to a postcard from the past enabling us to see our impacts on the environment. With an audience of millions, this HBO program has given our research even broader exposure, especially to children and parents.